Home > WHAM is back! These days, October can only mean one thing—the holiday season is upon us! For the Fresh Arts team this means our favorite time of year is back—it’s WHAM season, Houston! 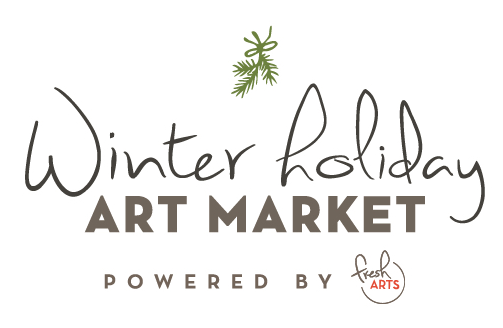 And by WHAM we mean the Winter Holiday Art Market , duh! We are excited to once again be kicking-off the holiday season and decking the halls of Winter Street Studios for a three-day showcase of Houston’s most vibrant and talented artists. Over the past 12 years WHAM has not only become an annual city-wide, but most importantly the event also serves as an important platform to promote artists’ economic and professional growth. To-date WHAM has generated over one million dollars for Houston’s creative community and continues to be an excellent opportunity for locals and tourists alike to discover Houston’s artistic gems. Amidst the aftermath of Hurricane Harvey, this year’s WHAM will serve as a festive regathering for our community and will be an inspiring showcase of the resiliency of our lively city. For newcomers, WHAM offers a wide variety of curated fine arts and handmade goods from local artists and artisans of all disciplines and features artist demonstrations, live music performances, free (adult) beverages, and food for sale by local vendors. WHAM is not just a market... it's a celebration! The Winter Holiday Art Market is one of Houston's largest juried art markets featuring exclusively local artists, and offers a unique mix of fine art and one-of-a-kind crafts—including paintings, sculpture, and photography, as well as jewelry, clothing, and soaps—from emerging and established independent artists. This year WHAM will showcase 65+ Houston-based artists with a mix of familiar faces and fresh talent. So, as the holiday season approaches—quickly as always!—we are ramping up in full WHAM spirit. We look forward to celebrating our favorite holiday tradition with you November 17-19, 2017. Stay tuned for exclusive interviews with our WHAM artists, handy shopping guides and everything else you need to know about the WHAM experience. Until then, welcome (back) to WHAM!